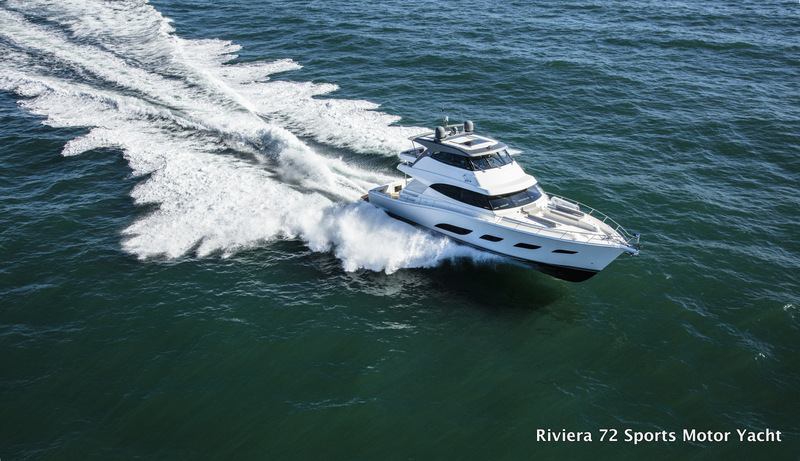 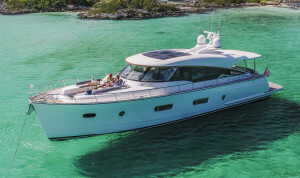 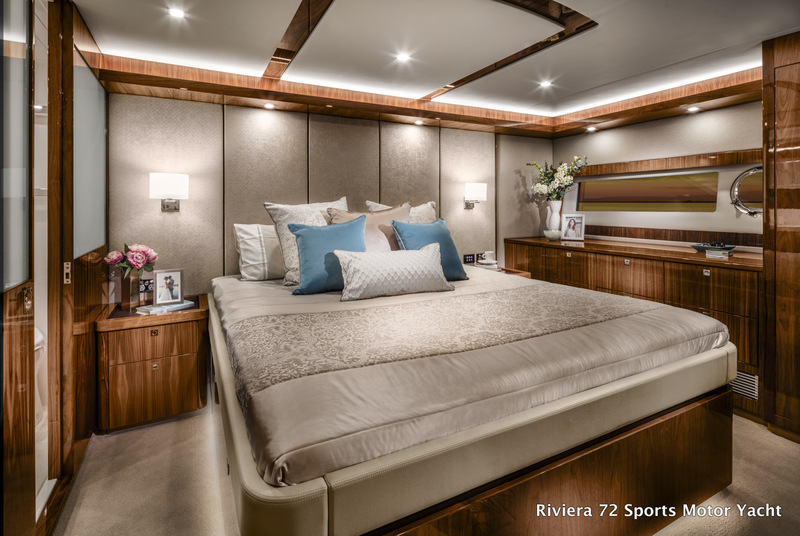 The 72 Sports Motor Yacht offers the exhilaration of supreme sports performance as well as fantastic interior flexibility with a wide array of luxury lifestyle features to enhance your time aboard. 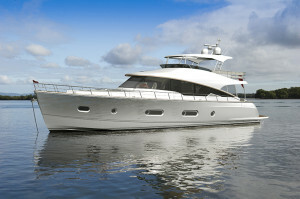 Differing from the Riviera 68 Sports Motor Yacht the 72 has almost 4 square metres more space in the cockpit, larger engines and an increased fuel tank size to make it the ultimate long range vessel. 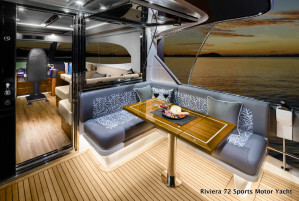 The spacious sports-inspired cockpit has copious storage solutions and the elevated mezzanine at the very heart of the entertaining space, includes a massive dining and entertaining area as well as direct access to the day head. 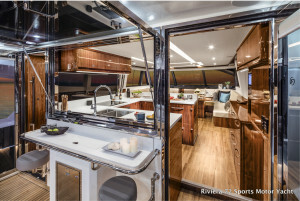 There is also convenient connectivity to the central gourmet galley, positioning the chef right in the heart of the social scene. 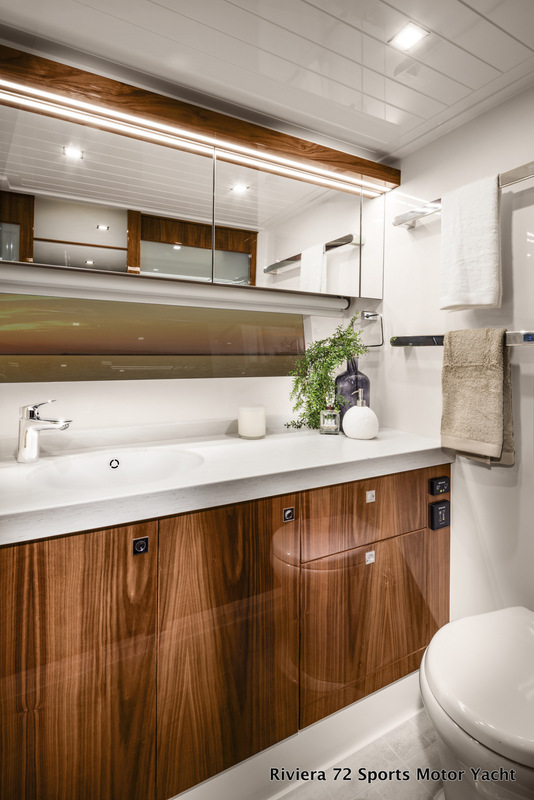 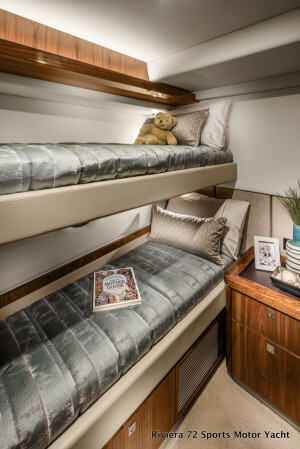 The new-generation 72 Sports Motor Yacht also offers a fully flexible accommodation plan with a choice of three or four staterooms, including full-beam master stateroom with private ensuite. 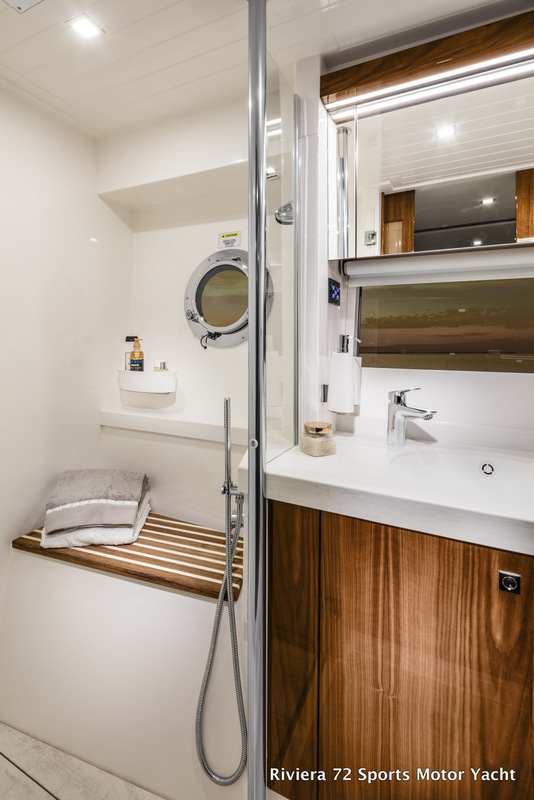 There are also options for a gym, teenager’s retreat, crew quarters or a dedicated sporting equipment stowage, depending on your specific requirements and aspirations. 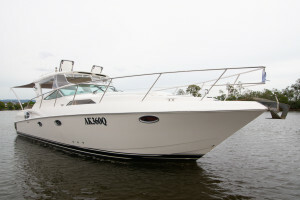 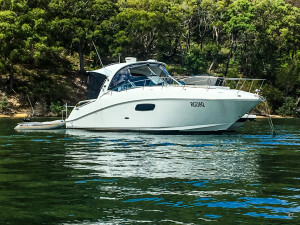 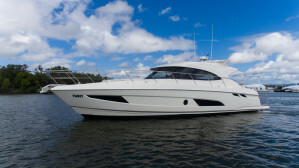 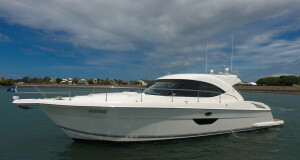 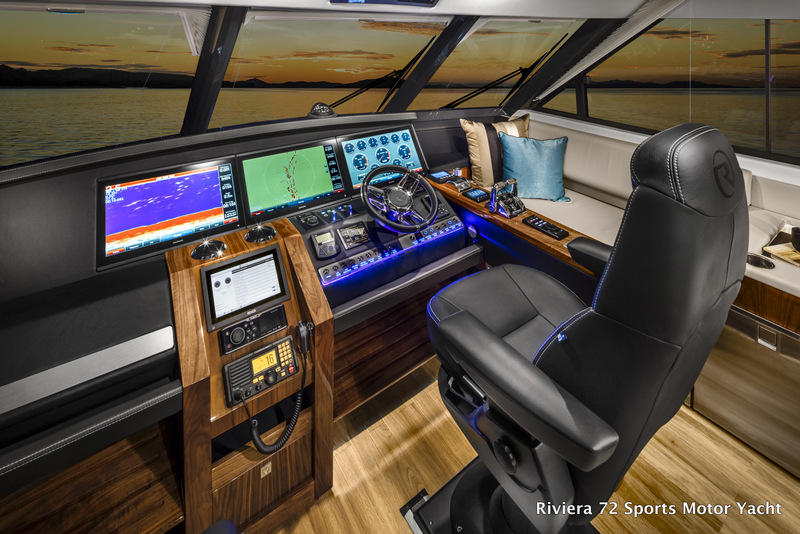 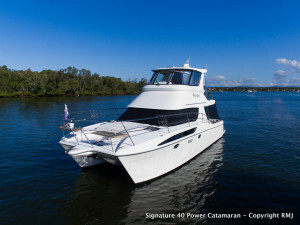 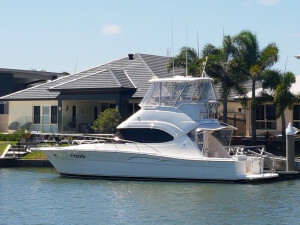 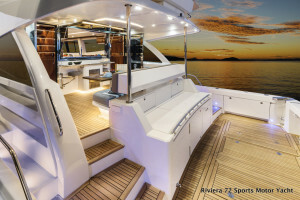 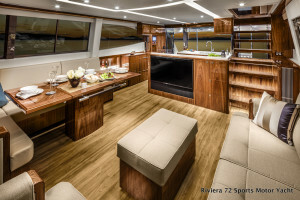 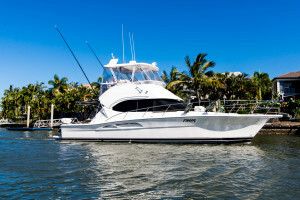 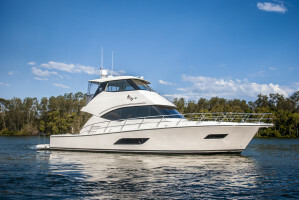 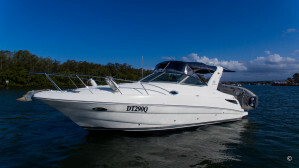 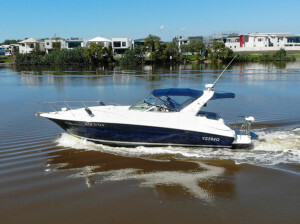 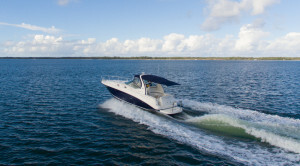 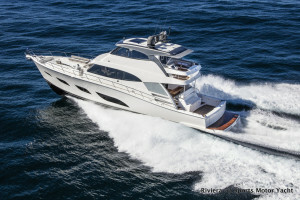 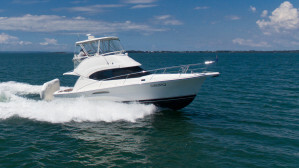 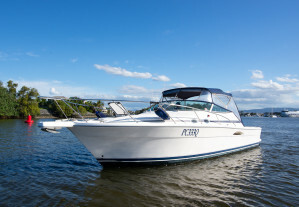 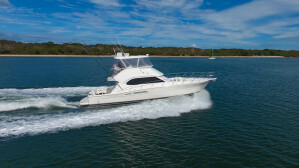 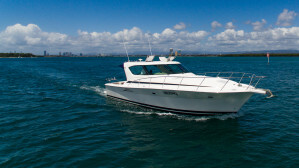 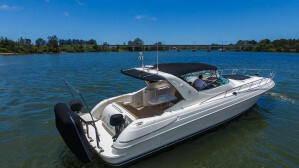 The futuristic flybridge of the Riviera 72 is fully enclosed and is accessed via an internal staircase, with an ultramodern forward helm brimming with the latest in marine technology to ensure easy operation and to give you more time to enjoy all the relaxing and rewarding benefits of the luxury boating lifestyle. 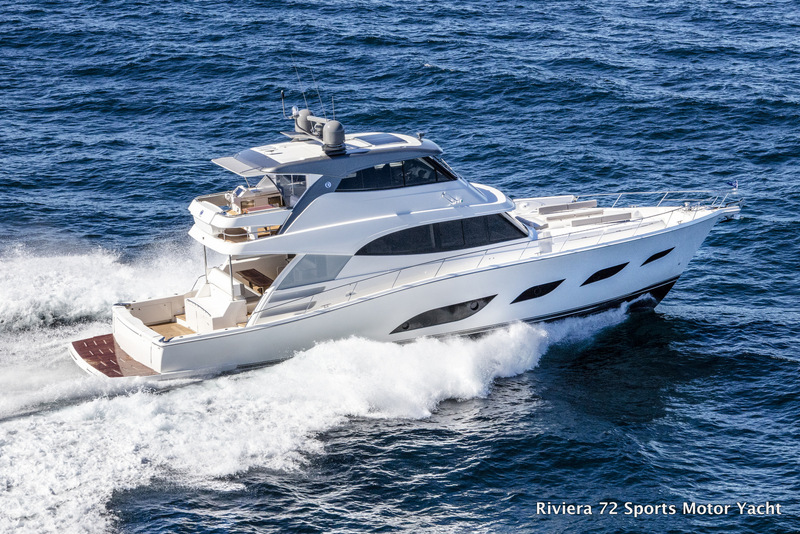 The 72 Sports Motor Yacht is shaft-driven, and features a full stand-up engine room, while her strong and robust and strong hull has been developed in conjunction with Dutch super yacht designer Frank Mulder – three-time naval architect of the ‘Fastest Yacht in the World’. 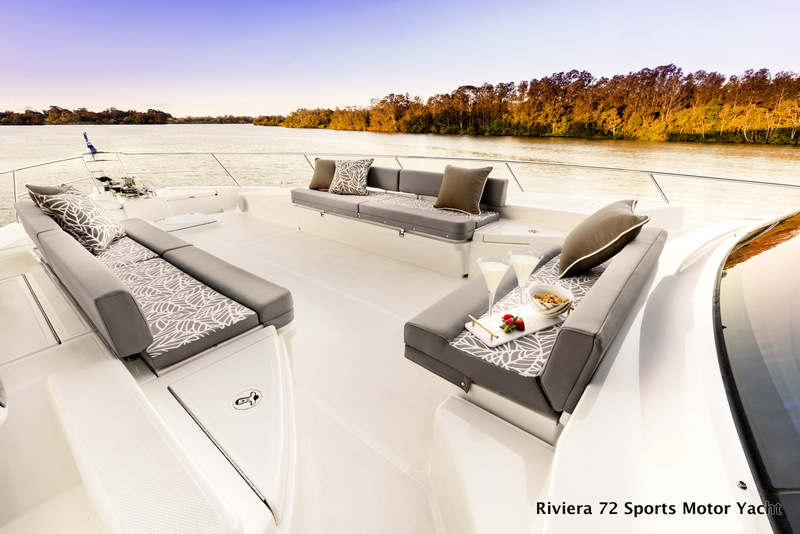 The 72 Sports Motor Yacht from Riviera appeals to experienced luxury motor yacht owners who desire to spend more time cruising to idyllic, distant destinations. 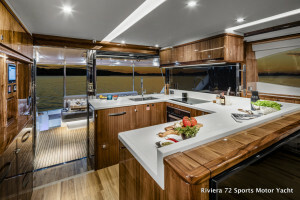 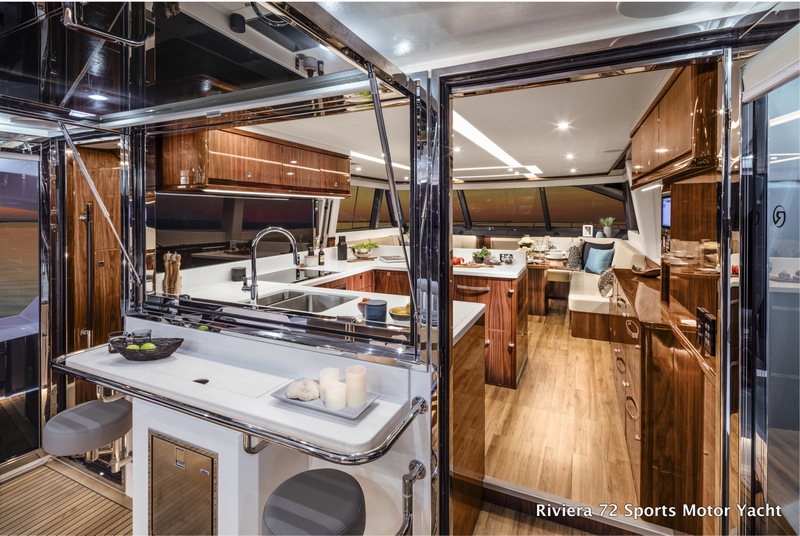 Indeed, the enthusiasm as we showcase her design at boat shows right around the world give us great confidence that we are heading in the right direction with this new collection and model of the renowned Riviera range. 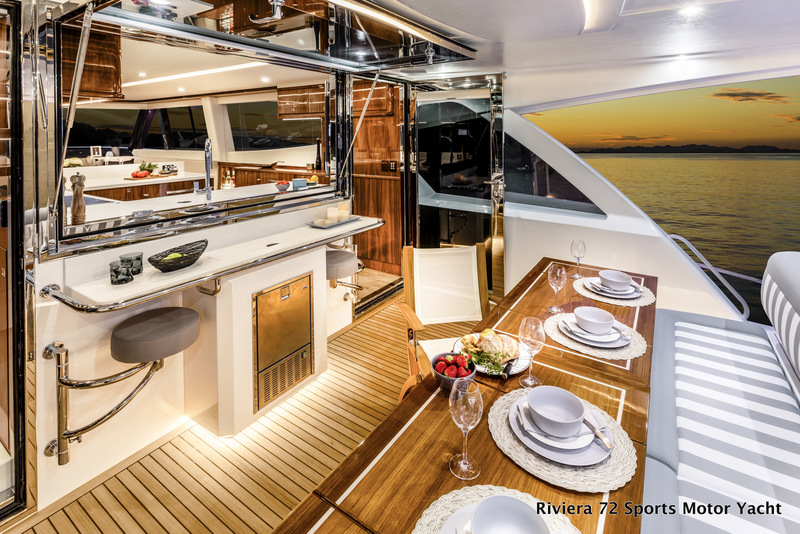 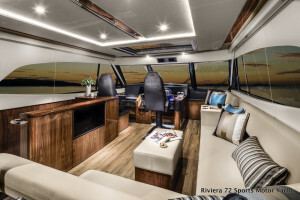 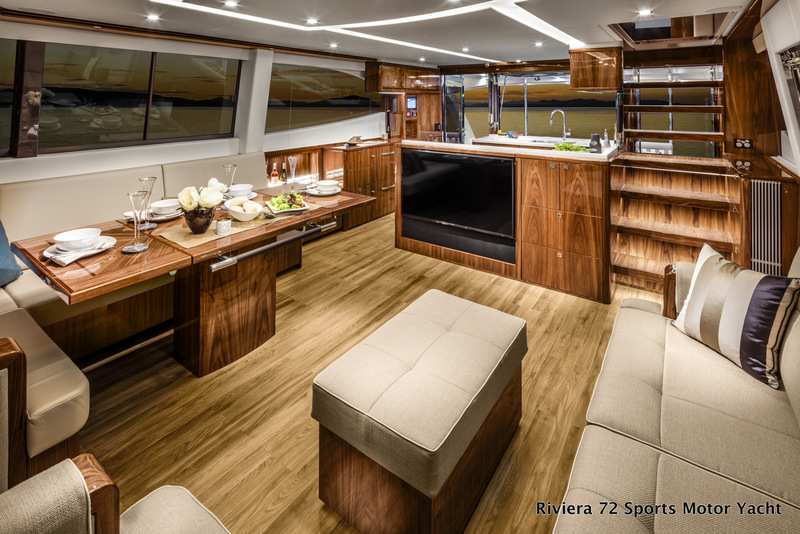 If you would like a detailed presentation of the luxurious, long-range Riviera 72 Sports Motor Yacht, contact us at the home of Riviera on the Gold Coast.